Rabbi Eugene Blachschleger was elected as spiritual leader of Temple Beth Or in 1933, and served until his untimely death in January 1965. Rabbi Blachschleger’s tenure in Montgomery was long and loving, and was marked with great success and much respect within the community as well as the congregation. He quickly initiated a college night service, a Young People’s Discussion Group, and affiliation with the National Federation of Temple Youth (NFTY). He was the first rabbi to be invited into the Montgomery Ministerial Association, and was elected to the positions of Vice President and Treasurer. During the war years and later the turbulent civil rights era, Rabbi Blachschleger’s passionate spiritual leadership continued along with his steady involvement in the religious, civic, and cultural affairs of the community. In 1954 he was elected to the board of HUC-JIR. Under his leadership, Temple Beth Or began to conduct Bar Mitzvah ceremonies, with the first such ceremony held in 1958 with the bar mitzvah of Ralph Cohen. In this same period the Sisterhood was invited to sit (but not yet vote) on the Temple board. In 1960 a very successful Ministers Institute was held. A Teachers Institute was held as well; both efforts were led by Rabbi Blachschleger. After his death, a grieving congregation formed The Eugene Blachschleger Memorial Fund. Rabbi David A. Baylinson served the congregation from 1965 until his retirement in 1994. He introduced new liturgy in the form of Gates of Prayer and initiated Yahrzeit remembrances at services. His special interest was in reaching and educating the youth in the community, and during this time the Temple resumed training youngsters for Bar Mitzvah and later introduced Bat Mitzvahs as well. He also began a long and cherished relationship with Huntingdon College. Rabbi Baylinson was appointed to the Southeast Council Camp Committee and he continued his strenuous schedule of education both within and outside the congregational walls. A superb ambassador within the general community, he was appointed to the Advisory Board for the Juvenile Court, made numerous guest appearances on local television stations, attended the Alabama Governor’s breakfast, was elected President of the county Council of the Montgomery PTA, and Secretary and later President of the Family Guidance Center. He organized a Church Women’s Institute on Judaism with the cooperation of the Women’s Interfaith Council, and was appointed to the State Advisory Committee on Human Resource. In the 25th year of his service to Temple Beth Or, he was named the senior Rabbi in the Southeast Region of UAHC. Additionally, a distinct honor was bestowed upon him when he was invited to give the invocation at the first National Martin Luther King Celebration. He was appointed to the State of Alabama Division of the American Cancer Society, elected Vice President of the Montgomery Chapter, appointed to the Board of Directors of Jackson Hospital, and continued his outreach in the community through talks to local groups, churches and schools. Grateful for his 29 years of extraordinary leadership, the board named him Rabbi Emeritus when he retired in 1994, and designated him and his wife Janice as honorary lifetime members of Kahl Montgomery. 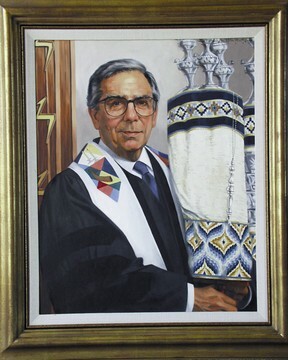 Subsequently, the congregation named its meeting room the David and Janice Baylinson Social Hall and commissioned a painting of Rabbi Baylinson that hangs in the lobby. Rabbi Elliot L. Stevens served as spiritual leader of Temple Beth Or, Montgomery’s oldest Jewish congregation until his untimely death in June, 2017. Here is a lovely article published in our local paper the day after his memorial service that gives a glimpse of the rabbi who touched us all. Prior to moving to Montgomery in July, 2007, Rabbi Stevens served as Associate Executive Vice President of the Central Conference of American Rabbis (CCAR) in New York, the international professional rabbinic association of the Reform Movement, a position he held for 32 years following his ordination in 1975. He directed the CCAR’s publications program, ran conferences and conventions throughout North America and in Israel, managed a scholarly quarterly, served as a “rabbi’s rabbi” to his colleagues, and parliamentarian to his organization. 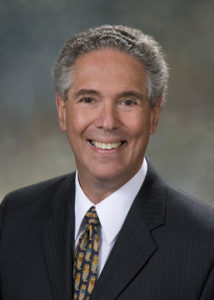 Following his move to Montgomery, Rabbi Stevens served on the Board of the Montgomery Area Food Bank; the Community Council of River Region United Way and the Board of the Montgomery Chorale. He served on the Advisory Board of the UAB Health Center in Montgomery, and for five years chaired the Selection Committee for the River Region Ethics in Business Award. Rabbi Stevens served as co-chair of Interfaith Montgomery, and was an adjunct professor at Huntingdon College. He participated in the National Security Forum at the Air War College at Maxwell Air Force Base in 2012 and participated in Leadership Montgomery in 2012 – 2013. In January, 2018, the religion school was rededicated as the Rabbi Elliot L. Stevens Kol Ami Religion School to honor his memory and love of learning. The Rabbi Elliot L. Stevens Scholar-in-Residence fund was also established in his honor. Click Here to read some of Rabbi Stevens’ sermons.